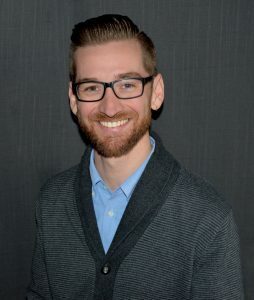 At PDBTI, Jason is a therapist on the DBT-S team to support clients’ recovery from co-occurring substance use and mental health difficulties. His professional training, range of personal interests (from meditation and yoga, to recreational team sports, to popular and jazz music performance), and life experiences with grief and loss inform his empathic, light-hearted, scientific, and down-to-earth approach to working with clients in therapy. In this phase two group, we will spend time going more deeply into the mindfulness skills as they are taught in DBT and various other traditions. We will spend time working with three different areas of mindfulness practice: concentration, cultivating of loving kindness and compassion, and accessing wise mind through presence. The emphasis on this group is to practice mindfulness, so we will be spending up to 30-40 min each session practicing the presented skills. This is an open group with a minimum participation requirement of three months. Participants are welcome to stay in the group for a longer period of time after the initial three months. “The Present moment is filled with joy and happiness. If you are attentive, you will see it”. We can work with insurance providers to bill group services. We work with most insurance companies, and charge $75 per group session if individuals wish to pay out-of-pocket. We ask all individuals who wish to participate in services at Portland DBT Institute to complete an intake session in order to review goals of group, answers questions about the group process, create a brief treatment plan, and answer questions about billing and insurance procedures.